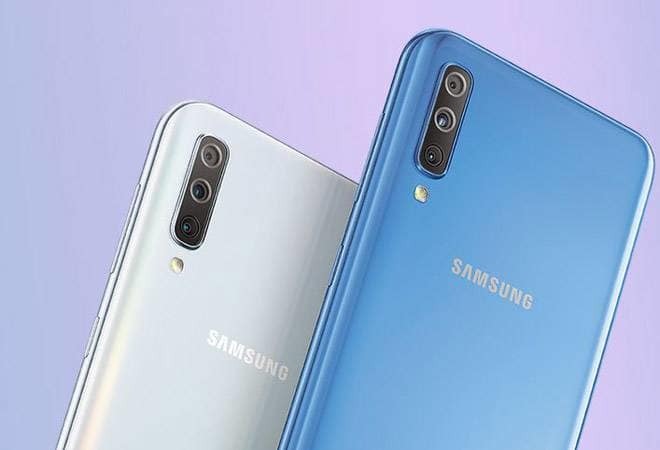 Ahead of the launch of Samsung Galaxy A70 next week, Samsung has said that it will launch Galaxy A80 in the month of May. Samsung Galaxy A70 will be priced in the range of Rs 25,000 to Rs 30,000. On the other hand, the Galaxy A80 could fall in the price bracket of Rs 45,000 to Rs 50,000. “We will launch the Galaxy A70 in India next week in the Rs 25,000 – Rs 30,000 bracket and the Galaxy A80 in the Rs 45,000 – Rs 50,000 bracket in May,” Ranjivjit Singh, Chief Marketing Officer and Senior Vice President, Samsung India, told IANS. Samsung is looking to challenge the Chinese budget smartphone makers like Xiaomi, Oppo, OnePlus in India with its Galaxy A-series smartphones. The South Korean electronics major is targeting $4 billion in revenues from its Galaxy “A” series of phones in 2019. As far as specifications of Samsung Galaxy A70 are concerned, the phone features 6.7-inch Infinity-U display. 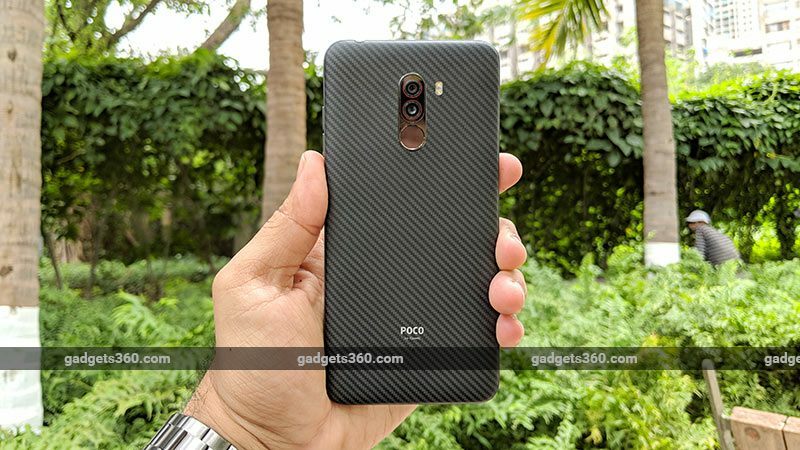 It is powered by a 2.0 Ghz octa-core chipset paired with 6GB or 8GB of RAM and 128GB of internal storage, which is expandable up to 512GB via a microSD card. The Galaxy A70 runs on the One UI based on Android Pie. The Optics of Galaxy A70 includes a triple camera setup with a 32MP primary camera with f/1.7 aperture, an 8MP ultra wide-angle camera and a 5MP depth camera. For the selfies, Galaxy A70 sports a 32MP camera with f/2.0 aperture. The Galaxy A70 also houses a large 4,500mAh battery with the support for 25W fast charging over USB Type-C.
Samsung is also planning to unveil Galaxy A80 next month in May. The Galaxy A80 comes with a refreshing new design and has a sliding and rotating camera setup. The Galaxy A80 will be powered by Qualcomm’s brand-new Snapdragon 730G SoC, which is built on 8nm manufacturing process. As far as specifications are concerned, the Samsung Galaxy A80 has a 6.7-inch full-HD+ (1080×2400 pixels) Super AMOLED display or the “New Infinity Display”. Samsung Galaxy A80 comes with 8GB of RAM and 128GB of onboard storage which cannot be expanded using a microSD. The phone runs on Android 9 Pie with Samsung’s One UI. The Galaxy A80 also comes with 3,700mAh battery with Super Fast Charging support. As far as the optics is concerned, the Galaxy A80 comes with a triple camera setup that includes a huge 48MP primary sensor, an 8-MP secondary sensor with an ultra-wide-angle f/2.2 lens, and a 3D depth camera. The camera also comes with several modes like super slow mo, live focus for photos as well as videos and hyperlapse. For the front camera, there is also the AR Emojis feature. Maruti Suzuki is all set to debut the third generation of the Swift in India and we’ll first see the car in the flesh at the 2018 Auto Expo. The company has officially begun bookings for the car and the dealers all across the country have started accepting it at a booking amount of ₹ 11,000. The 2018 Maruti Suzuki Swift will be launched at the expo and deliveries will begin post that pan India. We spoke to a few dealers though who confirmed saying that it s likely that the car will carry a waiting period of 3 to 4 months from the start. The Maruti Suzuki Swift has dominated the hatchback segment and the new generation promises nothing different. The first two generations have been dominant in the compact hatchback segment ever since 2005 and it has always been on the list of top ten cars sold every month since then. Maruti Suzuki says that it has sold more than 5.8 million Swifts globally. The new generation, then, has big shoes to fill in and Maruti Suzuki isn’t holding out on making this one a cracker of a car. 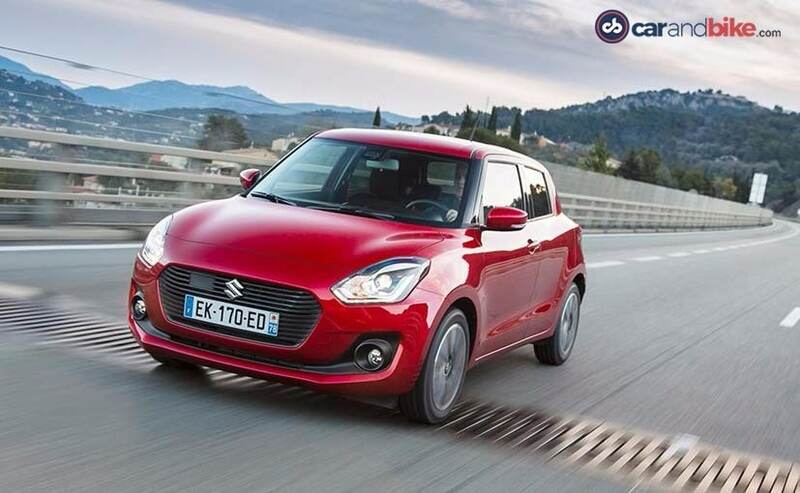 The new-generation Maruti Suzuki Swift gets a brand new design, and it’s an all new design language as well, which enhances the looks of the car. The new Swift is based on the 5th generation of the HEARTECT platform and it has grown in terms of dimensions. The 2018 Swift is wider (up by 40mm) at 1735 mm, has a longer wheelbase which has gone up by 20 mm at 2450 mm and is shorter than its predecessor by 10 mm (yes you read that right). Having said all of that, Maruti Suzuki says that the cabin of the new Swift boasts of better leg, knee and head room at the rear. 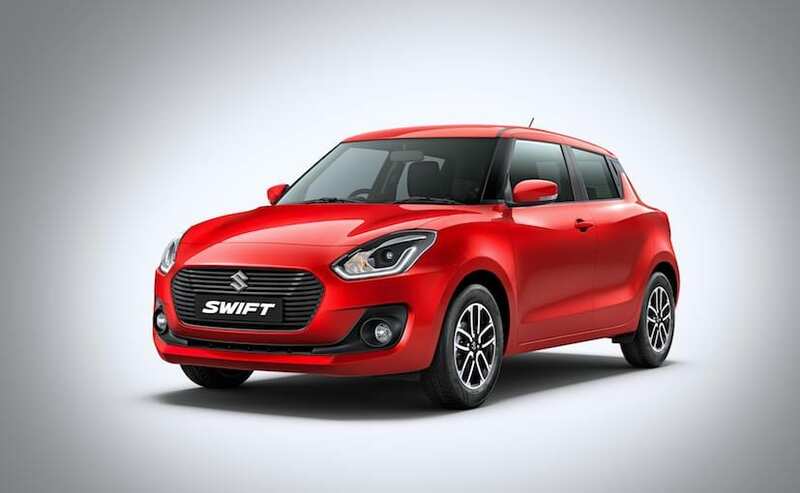 The new Swift also gets a major design and styling overhaul with new bold single-frame grille flanked by the bug-like headlamps with projector units and LED daytime running lamps and LED taillights. The car also gets new sportier alloys, a floating-style roof design with blackened B-pillar, and new front and rear bumper. 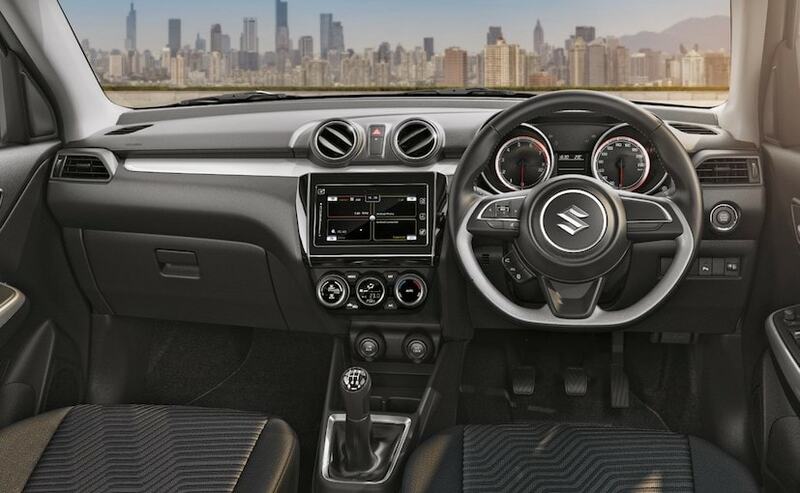 The new Maruti Suzuki Swift will also get an extensively updated cabin similar to the Dzire with a flat-bottom steering wheel. There’s also a new infotainment system which comes equipped with Apple CarPlay and Android Auto. Under the hood, the Maruti Suzuki Swift will continue using the same 1.2-litre K-Series petrol and 1.3-litre DDiS diesel engines. 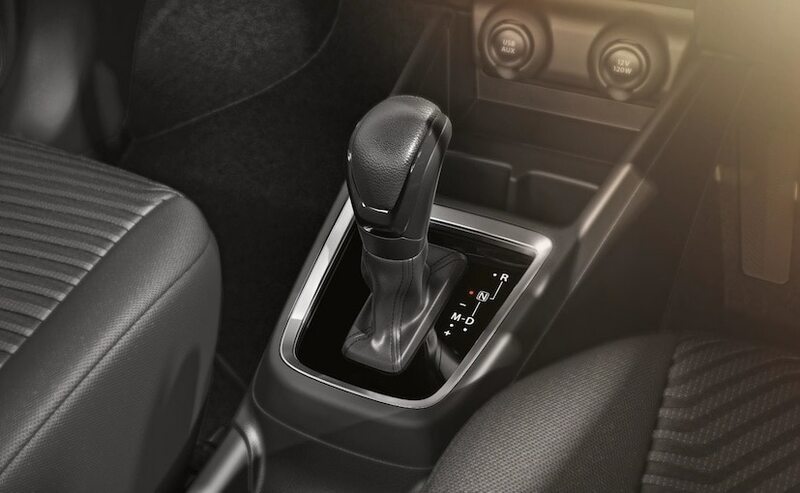 The 2018 Swift will be now available with a manual as well as an Auto Gear Shift (AGS). There will be a primary of 4 variants on offer in both petrol and diesel – LXi, VXi, ZXi and ZXi+. The AGS will be only available in the VXi and ZXi variants in both fuel types. The company is also bringing in a host of new colours and there will be a total of six on offer. The Prime Lucent Orange is the new colour on offer on the Swift. There’s good amount of boot space too with 268 litres of space which is an improvement of 58 litres over its predecessor. Chinese smartphone brand Huawei will start sales through US carriers next year, a Huawei executive said Monday, stepping up the No. 3 global handset seller’s presence in the home market of rival Apple Inc. The president of Huawei Technologies Ltd.’s consumer business, Richard Yu, said he would announce details at next month’s Consumer Electronics Show in Las Vegas. He said sales would start with the flagship Mate 10 but declined to give a price or say through which carrier or carriers they would be sold. Huawei sells some models in US electronics stores and online but has a minimal share of an American market in which most sales are through carriers. Globally, the company trails Samsung and Apple by handset shipments but leads in China, the biggest market, and says it expects to ship a total of 150 million units this year. Yu expressed confidence the smartphone business wouldn’t be affected by American government concerns Huawei might be a security threat, which derailed US demand for its network gear. “In consumer sales, when people really start using Huawei products, they will change their minds,” said Yu. Huawei, founded in 1987 by a former military engineer, is the first Chinese brand to break into the top ranks of global technology suppliers. The company, headquartered in Shenzhen, near Hong Kong, is the world’s biggest supplier of switching equipment used by telephone and internet companies. It has manufactured mobile phones since the 1990s and launched its own smartphone brand in 2010. Huawei reported 2016 profit of CNY 37 billion ($5.4 billion) on revenue of CNY 521.6 billion ($75.6 billion). The company is owned by its employees, with no publicly traded shares, but reports financial results in an effort to allay security concerns in the United States and Europe. Helped by a strong position in China, India and other developing markets, sales by its premium-priced Huawei and mid-market Honor smartphone brands have grown faster than those of Samsung or Apple. That prompted suggestions Huawei might pass its American rival. In the latest quarter, Huawei’s handset shipments rose 16.1 percent over a year earlier to 39.1 million, well ahead of Apple’s 2.6 percent growth to sales of 46.7 million, according to IDC. Samsung sales expanded 9.5 percent to 83.3 million units. “We are a Top 3 smartphone supplier but we are very close to the Top 2. So maybe quickly we can be Top 2,” said Yu. The Mate 10, unveiled in October, offers an extra-wide display, high-end cameras and other advanced features at prices 15 to 30 percent below those of Samsung and Apple. Yu said the Mate 10 will be “competitively priced” in the United States but Huawei expects to compete on performance instead of cost. Also next year, Huawei plans to start selling through carriers in Japan, where its phones already are sold in stores, Yu said. “I think next year is a very important year for Huawei,” he said. Huawei’s US business suffered a setback when a congressional panel recommended in October 2013 that phone carriers avoid doing business with it or a smaller Chinese rival, ZTE Corp. Beijing rejected the report as false and an effort to block Chinese companies from the US market. Huawei denied being a security threat and rejected the US complaints as politically motivated or possibly an attempt by competitors to keep it out of the market.